Pediatric vision care is significantly more important than the general community believes! According to the American Optometric Association one in four children have a vision problem. However the Centers for Disease Control and Prevention reports that less than 15% of preschoolers receive an eye exam by an eye care professional. This means that many children have an undiagnosed vision problem that may be affecting their life in some way. At Epic Vision Development we go beyond what is typically provided for children's vision services by seeing children of all ages (including infants!) and by providing an environment where children are the center. Each pediatric eye exam includes an evaluation of refractive error (the need for glasses), eye health, focusing, tracking, convergence ability, depth perception, color vision, eye balance, and more. If a problem is indicated a more thorough developmental exam will be performed which evaluates: eye movements while reading, visual perception, visual motor integration, right-left awareness, reversals in writing, retained primitive reflexes, and more. Children can develop vision problems just like adults but unlike adults children don't know how to tell you that something is wrong. Taking your child to the optometrist starting from a young age will help ensure that your child gets the prescription lenses and other services he or she needs in order to see clearly and maintain healthy eyes. Vision clarity. Seeing clearly helps your child succeed in and out of the classroom. We'll test your child for refractive error and write a prescription for corrective lenses if necessary. Eye health. We'll test your child for eye diseases and if we detect signs of problems, we'll recommend treatment for your child's condition. Functionality. We'll test your child's eyes for proper functionality such as ability to perceive color and depth. We offer a variety of services and treatments for pediatric patients in our community. Vision therapy. Vision therapy may be needed to help your child's visual system develop normally. At this time vision therapy is not offered out of our Reno office. If it is found that your child would benefit from this service Dr. Moore will discuss how to gain access to a vision therapy provider. Conditions that are treated with vision therapy include convergence insufficiency, accommodative insufficiency (focusing difficulties), saccadic eye movement deficiency (tracking weakness), amblyopia, strabismus, and others. Infant and toddler vision. Babies need to see the eye doctor too! We recommend bringing your child to see Dr. Moore when he or she is about 6 months old, and then annually from that point onward. When you bring in your baby, we'll test your child for normal eye function and look for signs of diseases and refractive error. Depending on the condition, catching these problems early can help your child develop normally. Eye glasses. 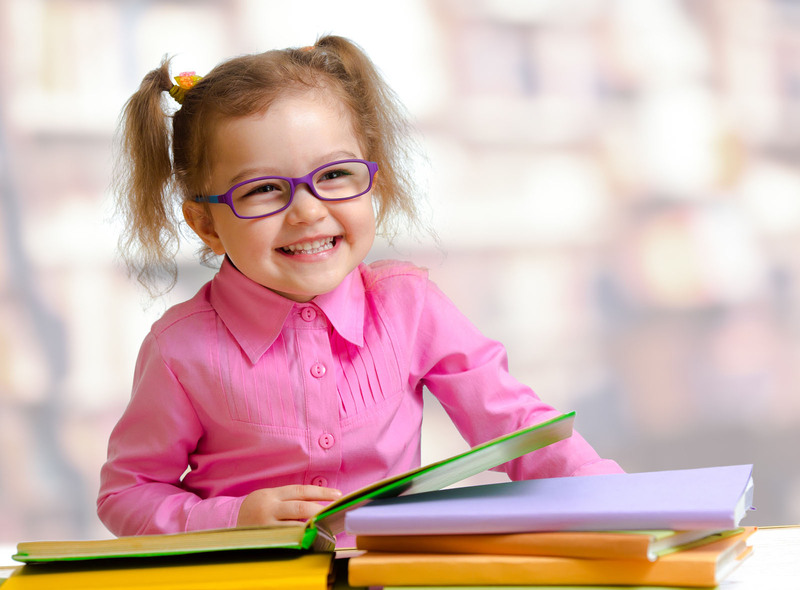 Children need eye glasses in order to see clearly in school and develop normally. We provide small frames for small faces, in a variety of styles and colors.